Interlaken has been continuing work on the PMLR East Waterline project. 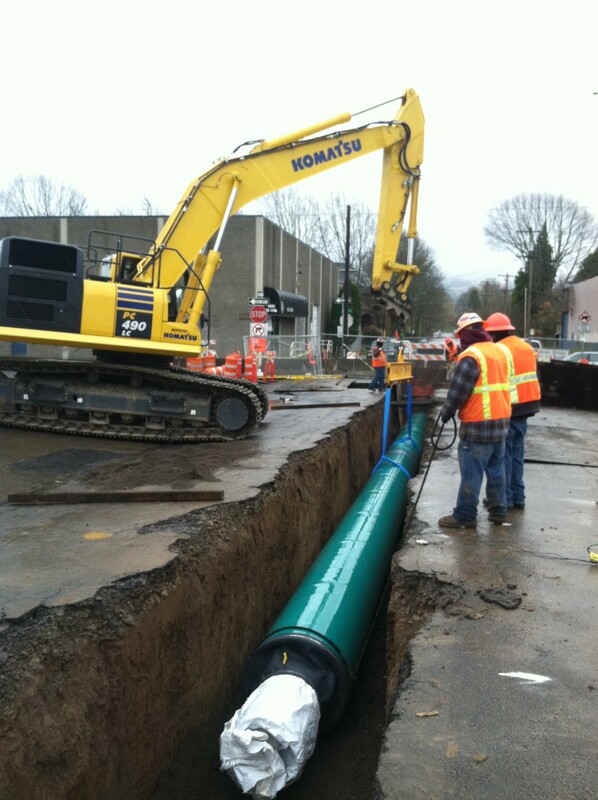 Here is a image of our crew setting 92 feet of 20″ waterline inside a 36″ steel casing. There are multiple steel encased crossings for this project due to the new lightrail system crossings.